On 3rd November Ryanair announced its first half year (H1) results which showed that net Profit rose by 32% to €795 million. Traffic grew 4% to 51.3 million customers (load factor up 4% points to 89%), average fares increased 5% to €54, and total revenues rose by 9% to €3,537 million. Unit costs fell by 2% (excluding fuel they rose by 3%). The higher unit costs are mainly due to higher landing and handling costs at primary airports, and a higher marketing spend to support the ‘Always Getting Better’ programme’. The customer experience improvements and a stronger Easter period helped H1 load factors jumped by 4% points to 89%. Customers are finding it easier to locate and book Ryanair’s lowest fares through its improved website, while our new responsive mobile app has been downloaded more than 3 million times in just six months. The customer experience is also improving at every touch point from mobile booking, online check-in, a smoother boarding process, and a friendlier on-board service where customers are enjoying allocated seating and using their PED’s. The success of the ‘Always Getting Better’ programme is evidenced by our rising forward booking’s profile which is continuing into the winter season despite a very substantial (16%) winter traffic growth and forward bookings for December to March continue to run on average 5% ahead of this time last year. However while the strength of forward bookings is important, close in bookings for the remainder of this winter are always subject to unforeseen events which could affect the business. However EU361 judgement on liability to passengers for tech delays may give Ryanair a competitive advantage since its reliability and punctuality are much better than some competitors. Fleet and traffic growth are now shown out to end 2023/24 reaching 150 million passengers (fairly smooth annual growth rates of 5-6%) on 520 aircraft which seems to indicate fewer disposals than previously reported. The significant surge in web visits across all major markets particularly the UK is welcome. This time last year Ryanair was just 3rd in the UK for airline website visits (running behind both British Airways and easyJet) on the Hitwise website listings. 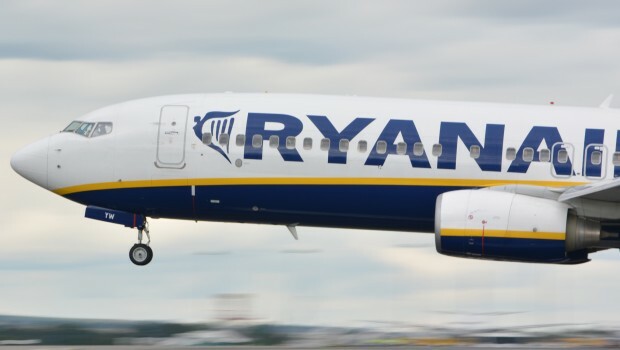 There is a rapid uptake of their new Family Extra and Business Plus products and price conscious and time sensitive business passengers are switching to Ryanair and Ryanair say that their product and pricing are now visible on 95% of European business house GDS screens. At the other end of the scale Ryanair plans to start selling holiday packages. Ryanair’s newly established Ryanair Labs development team is moving at a pace with bi-weekly improvements and will roll out more new services and features on their website and mobile app on a continuous basis into 2015. Over the next 6-12 months the web-site will be much more a one-stop travel opportunity with a new hotel partner, comparison pricing (as good as Skyscanner) and customer feedback ratings. By end 2015, Ryanair will have an ability to make individual targeted offers to registered customers. Ryanair issued a €850 million seven year Euro bond issued @ 1.875% thanks to its BBB+ rating from S&P and Fitch, Ryanair’s balance sheet remains strong and despite €293 million of Capex and debt repayments of €199 million during H1, its Net Cash position has improved from €158 million to €618 million reflecting the profitable H1 trading. The September AGM approved the Board’s proposal for a €520 million special dividend (€0.375 per ordinary share) to be paid at the end of February 2015. This will bring to over €2.5 billion the returns made by Ryanair to shareholders since 2008. Encouraged by these solid H1 results and underpinned by strong forward bookings and rising load factors, Ryanair has significantly raised its winter capacity and traffic growth objectives. It now expects traffic to grow by 12% in Q3 and by 20% in Q4 particularly during the weaker half of the year. With opportunities available to grow both route network and increase frequencies they believe that traffic in H2 will now rise by 16% or 5.3 million customers (2.2 million more than previously guided) although fares are expected to fall. Growth will be both from frequency improvements and new routes probably braking down 60/40. Growth is currently concentrated on domestic and international multiple daily frequency routes to attract a better traffic mix with short routes am and pm plus long routes helping to build utilisation. Ryanair expects that full year traffic will grow by 9% to 89 million customers, and average fares for FY15 will rise by just 1% to €47. Unit costs (excluding fuel) will be positively impacted by this significant H2 traffic increase, and they now expect unit costs will be flat for FY15. Including fuel, unit costs will fall 4% in FY15. Full year net profit is now expected to significantly exceed the previous guidance (of €650 million) and is now expected to be between €750 million to €770 million. This however remains heavily reliant on the strength of close in bookings for the remainder of Q3, and in particular Q4. However its ‘new’ business model seems to be performing well although Ryanair admit that much work remains to be done over the next 12 months. Hot on these results the Ryanair share price rose from €7.599 to €8.181 before reaching an all time of €8.39 with the market capitalisation rising by more than €1 billion to €11.6 billion. In September, Ryanair signed a new agreement to be the launch customer for 200 new Boeing 737-MAX 200 aircraft (100 firm and 100 options) which is subject to EGM approval which is scheduled for 28th November. With eight extra seats (197), more leg room, and Boeing’s attractive ‘sky’ interiors these aircraft have the potential to transform Ryanair’s cost base and further improve the on-board customer experience. Their CFM Leap-1B engines will deliver an 18% reduction in fuel unit costs but the current drop in fuel price even if continued, would not undermine the 737 MAX decision. Ryanair indicates it will take delivery of 180 B737-800 and 200 B737 MAX and dispose of 157 B737-800s. The basic price per B737 MX is $102 million (€81.45 million) plus $1.6 million (€1.28 million) for buyer furnished equipment (which it will ask Boeing to buy) plus escalation. There is no indication of the “significant” price concessions that Boeing has granted Ryanair. This 2014 contract generally provides that the rights and obligations of the parties may not (subject to certain stated exceptions) be assigned or transferred to non-affiliated third parties without the consent of the non-transferring party. The firm deliveries will arrive between August 2019 and November 2023 while the delivery dates for the option aircraft are between January 2020 and November 2023. Another milestone event in September was the delivery on the 10th of the 1st of 180 new Boeing 737-800 NG aircraft EI-FEE. Since then four more aircraft have been delivered, EI-FEF on 27th September, EI-FEG on 15th October, EI-FEH on 17th October and EI-FEI on 7th November. The delivery of this latter aircraft brings the total number of Boeing 737-800s to Ryanair to 353. 51 aircraft have left the fleet, which means that the current active Ryanair fleet now stands at 302 aircraft. This total includes the two Ryanair aircraft, EI-EKK and EI-EMH which were damaged in a taxiing incident at Dublin Airport on 7th October. EI-EMH was operating the FR42 to Edinburgh, while EI-EKK was, bound for Charleroi Airport as the FR812. They were both taxiing for departure along taxiway when EI-EKK then entered turned right onto taxiway A. At that point the left hand winglet of EI-EMH came into contact with the right hand horizontal stabilizer of flight EI-EKK. The top part of EI-EMH’s winglet broke off and was embedded in the rear side of the other aircraft’s horizontal stabilizer. EI-EMH returned to service the next day with EI-EKK following later. It also includes EI-EFB which suffered a tail strike on landing on runway 04 at Stansted on 29th July while operating flight FR-2369 from Ostrava in the Czech Republic. Ryanair’s Chief Pilot confirmed that this was Ryanair’s their first landing tail strike ever in over 500,000 flights/year. Notwithstanding substantial damage to the belly of the aft fuselage and tail section of the aircraft it was returned to service by 20th August. Finally looking at the aircraft leased in for the summer and updating the report in our October issue (page 12). The two AirExplore aircraft, Boeing 737-4Y0, OM-AEX and Boeing 737-436 OM-CEX operated their last Ryanair flights on the evening of 15th September and were ferried from Dublin to Bratislava in the early hours of the 16th, OM-AEX as the RYR4 at 02:55 and OM-CEX as the RYR5 at 01:35. The three FlyDubai Boeing 737-8KNs were returned as follows; EI-FEB ferried Stansted-Dubai on 15th September as A6-FDD and EI-FEC and EI-FED followed on 1st October as A6-FDE and A6-FDF respectively. On 29th October Ryanair announced Copenhagen as its 70th base which opens in March 2015 with up to four based aircraft with three new routes to London, Milan and Warsaw, with an additional 10 more new routes to be announced in the New Year. The Copenhagen operation could be described as ‘a toe in the water’ however unions at Copenhagen have been very opposed to a Ryanair operation which may be influencing the low level start of operations. 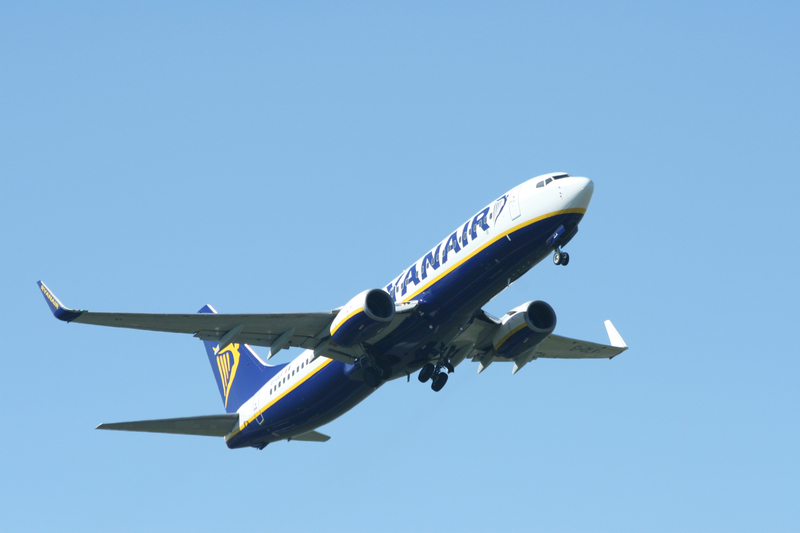 Ryanair terminated its operations in neighbouring Swedish city Malmö to Stansted and Malaga (both twice weekly). This is Ryanair’s second Danish base after Billund and marks Ryanair’s expansion in what it describes as “the high fare Scandinavian region” after a number of years without capacity growth in that market. There are continuing discussions with Scandinavian and German airports which are worried about the viability of current routes with current operators. Aegean Airlines and Ryanair are the only two airlines the Cypriot government has shortlisted in the race to acquire struggling Cyprus Airways following the end of the tender process. The Cyprus Mail reported that the government received nine bids in total but asked only Aegean and Ryanair to submit business plans. Cyprus Airways’ financial situation has continued to deteriorate even as the process continued with reports the airline’s board has drafted an emergency plan which would allow the airline a breathing space of a further 6 to 8 months. Unfortunately for the staff, the plan entails the freezing of collective wage agreements for at least six months. However Airline unions at Cyprus Airways also fear a buy-out by either party will lead to massive redundancies and/or major pay cuts. Ryanair has already said that if successful in its bid, it would focus on retaining the current Cyprus Airways brand in addition to operating under a separate AOC to that of Ryanair. However key to any takeover of Cyprus Airways is a pending European Commission ruling on whether a €73 million rescue package in 2012 and a €31.3 million capital increase in early 2013 violated EC state-aide regulations. Any ruling against the airline forcing the repayment of this aid would likely lead to Cyprus Airways’ collapse and probably the acquisition processes. 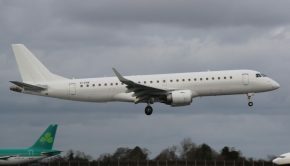 However the Cyprus government is preparing for the worst case scenario should efforts to rescue Cyprus Airways fail, Finance Minister Harris Georgiades has confirmed. The government has included €10 million in the €158 million supplementary budgetary bill sent to Parliament to cover compensation for employees. But he added that the government was trying to exhaust every possibility of saving the airline and jobs. If these fail, the government was working to ensure flight connectivity from Cyprus and to safeguard the rights of employees. Ryanair released its October traffic statistics on 3rd November which shows that its traffic grew by 400,000 to 8.4 million customers (up 5%), Load factor increased 6% points from 83% to 89% and rolling annual traffic rose to 84.2 million customers (up 4%). 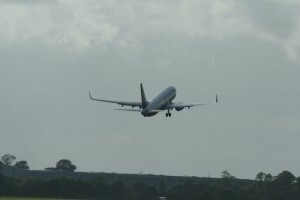 On 1st October, the European Commission (EC) announced that it had made seven decisions under EU state aid rules with regard to public aid measures to airports and airlines in respect of three German airports in Germany (Frankfurt Hahn, Saarbrücken and Zweibrücken), Charleroi in Belgium, Alghero in Italy and Västerås in Sweden. 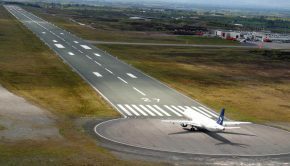 It has also opened an in-depth investigation concerning financial support in relation to Bruxelles-National airport where around €19 million of public money per year over the period 2014-2016 is being made available to certain airlines (particularly Brussels Airlines) which operate from the airport. Since the beginning of 2014, the EC has finalised its assessment in 17 other cases concerning similar cases. In relation to the state aid granted to the airports of Frankfurt-Hahn and Saarbrücken, Alghero and Västerås the EC fully approved this aid as that the relevant airlines – notably Ryanair received no undue advantage. 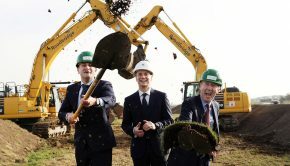 In the case Zweibrücken Airport, it found that both investment aid and operating aid paid to the airport since 2000 was incompatible with the Single Market as Zweibrücken Airport unnecessarily duplicated already existing, unprofitable airport infrastructure in the same region. It also found that certain agreements concluded by Zweibrücken and Alghero airports gave TUIFly, Germanwings and Ryanair an undue economic advantage in the case of Zweibrücken airport, and Meridiana and Germanwings in the case of Alghero airport. In these cases the aid will need to be paid back. In Ryanair case this amounts to €500,000 and the airline has said it will appeal the judgement. In the case of Charleroi Airport, the aid caused positive and negative effects and the EC has decided that part of this aid can be authorised and that Charleroi airport has to pay back the remainder, amounting to around €6 million. It has also directed that the concession fee paid by the airport manager in exchange for the right to operate the infrastructures commercially is increased so that it reflects a fair market price. Ryanair lost its appeal against a fine and charges of €8.1 million for breaching a range of regulations linked to the treatment of local French workers hired on foreign contracts between 2007 and 2010. Naturally it plans to appeal to a higher court.